When a scientific theory is proven false, often you’ll find anti-science zealots claiming the findings as proof that science is fallible and thus wrong. That’s the thing about scientific study, it’s in the discovery of wrongness that we expand our knowledge. There are countless scientific theories that we can look back on now, with contemporary knowledge, and call them ridiculous. 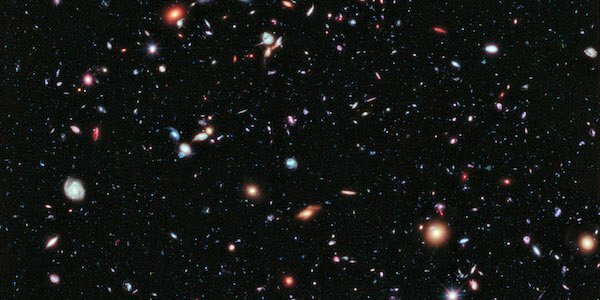 Even the most quaint and insanely wrong scientific theory bore out an expansion in our knowledge. Despite many of these theories being lost to the aether (another theory that was proven to be wrong) there are a few that are remarkable because of who put them forth. The following are some of science’s biggest contributors, and their blunders. I’ve chosen three ancient scientists/philosophers who had theories which lasted for well over a millenia. But scientific inaccuracies aren’t just for the ancients, even modern man makes mistakes. Would you believe that one of the greatest minds of the 20th century was wrong? If you love science, then you should believe such a thing to be possible, and you should be excited by the prospect of such a person getting to experience being proven wrong. Up until 2005, and even to this day according to a Wikipedia entry, it was believed that ulcers were most often caused by stress. We know now, thanks to the work of Barry J. Marshall and Robin Warren, that the bacteria Helicobacter pylori is the culprit that causes ulcers. Science is littered with these long held theories, as well as those that come and go quickly. Often it’s unclear who came up with a particular theory; this is often the case with scientific study from ancient times. You’re more likely to know, as a modern and intelligent person, the scientist responsible for the currently accepted theory. Ptolemy lived in Alexandria, Egypt in the late first century to the early second. There had been many models of the celestial bodies observed by man at the time, but it was Ptolemy who provided calculations using the Earth as the center of the universe that could predict accurately where celestial bodies would be. Simple observation of the sky proved this theory as any person could see that the sun, moon, stars, planets, et al were moving around the earth. Also, anyone who’s standing on the earth would feel like they are stationary. The geocentric model was held, thanks to Ptolemy’s theories and calculations, for over 1300 years. The heliocentric model that would supercede it had been postulated hundreds of years before Ptolemy was born. Copernicus revitalized the heliocentric model, and proved that a geocentric model just didn’t make sense. 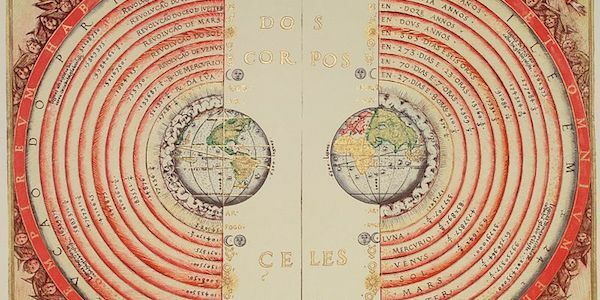 Like all great science, and unlike Ptolemy’s theory, further work by scientists like Kepler and Galileo would further prove the heliocentric model correct. Aristotle is the most famous of the ancient scientists/philosophers on this list, and probably needs no introduction. 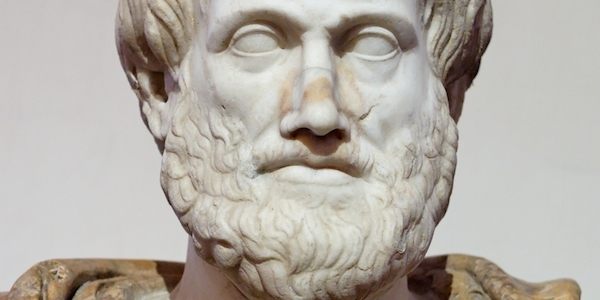 He gave us the concept of empirical observation as a basis for scientific study, and while they have been superseded by Newtonian physics and relativistic physics, Aristotelian physics were used as the standard for over a millenia. To the casual observer, even to this day many of the ideas hold up. This is especially true for the claim that heavier objects fall faster than lighter ones. If you hold a baseball in one hand, and a ping pong ball in the other, and drop them you’ll find that they hit the ground at roughly the same time. But the baseball hits just a little before. Here’s the thing, although simple observation appears to uphold Aristotle’s claim, the truth is that the two objects fall at the same rate. The difference is that a heavier object has a larger gravitational force, and therefore accelerates faster. There isn’t enough space for each item to reach terminal velocity, so the heavier object accelerates faster and hits the ground first. A lot more is involved, and it’s a fascinatingly study in physics. Claudius Galenus (Galen) was a Greek physician and philosopher. He is the most celebrated and learned physician of the time, and much of what doctors studied in regards to medicine and the treatment of the human body came from his findings. His study of physiology went uncontested until the 1500’s, nearly 1300 years after his death. Much of what was believed in that time has turned out to be either wrong, or more importantly just a bit not right. But he proved that the larynx was the source of our voices. His study of the circulatory system is renowned, but it’s here that the most insanely hilarious of Galen’s theories lay. He believed, with his study of primate and pig anatomy, that the liver was responsible for the movement of venous blood. While the heart moved arterial blood. This was studied by medical students until well into the 19th century. While erroneous, the findings held up to common scrutiny the same that Aristotle and Ptolemy’s claims did. What you see is two forms of blood in the body, the dark venous and the bright red arterial. It’s a reasonable theory to postulate there are two independent circulatory systems working in consort. It’d be easy to continue picking out ancient scientists and their theories, which go on to be superseded by more advanced study. The truth is that even our most brilliant recent scientists make mistakes. Including one of science’s brightest stars, Albert Einstein. His theory of general relativity has changed the world, and science. What makes his blunder all the more insane is that his own calculations disproved his claim. Right now you’re thinking: “What the hell? I don’t know much about science, but I know that even light can’t escape a black hole.” This is an idea that was posited, and mostly proven by Professor Hawking. With a 160 IQ -- the same as Einstein -- you’d be a fool to try and prove the man wrong. This is likely why no one really did. Instead, Hawking himself discovered what is known as Hawking radiation, which is emitted from the event horizon of a black hole. Like Einstein, Hawking had the truth in front of him for a long time. He theorized the existence of radiation that a black hole gave off back in the mid-1970s. It wouldn’t be until 2004 when Hawking would admit to the oversight that led to the blunder. 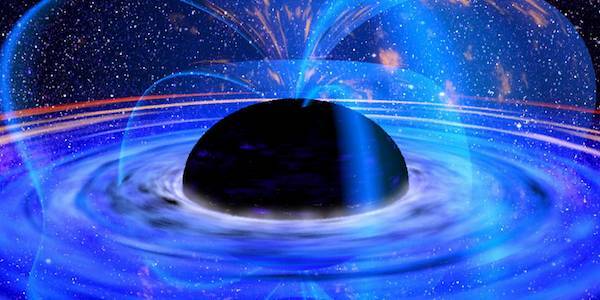 His theories about how black holes work is the predominant knowledge we have on the phenomenon. What’s most interesting to note with this example, as well as the Static Universe theory, is how readily scientists will admit when they’re wrong. Even when they’re literal and figurative Einsteins.